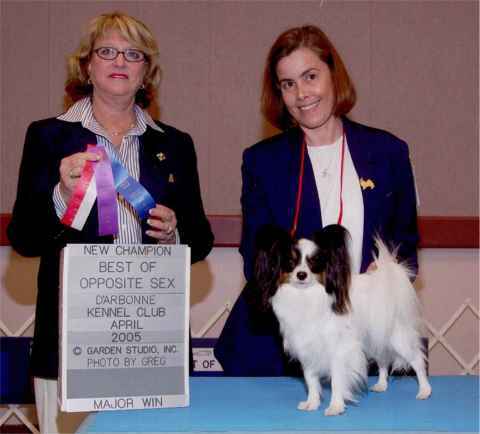 Lady pictured taking WB and BOS at Shreveport Kennel Club Inc with a four point Major thus completing her title. 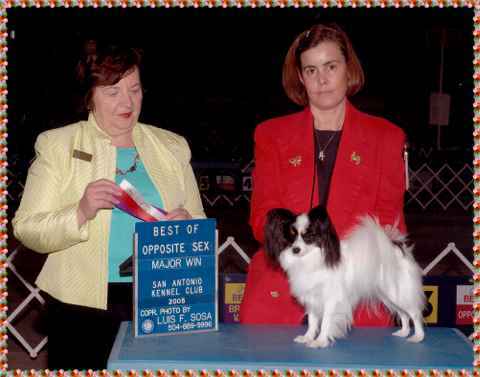 She took this with four Majors. 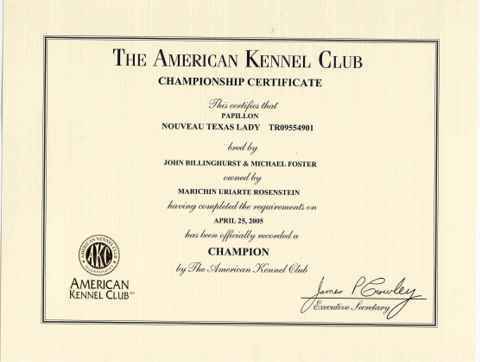 At The Brazos Valley Kennel Club in Navasota, Texas Sunday, April 3 2005, Lady took WB and BOS over Specials with a further 2 points. 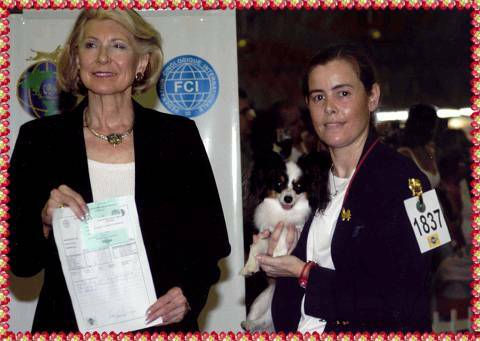 At The Alamo City Cluster in San Antonio, San Antonio Kennel Club, on February 6 - 2005, Lady took WB and BOS over Specials with a Four Point Major. 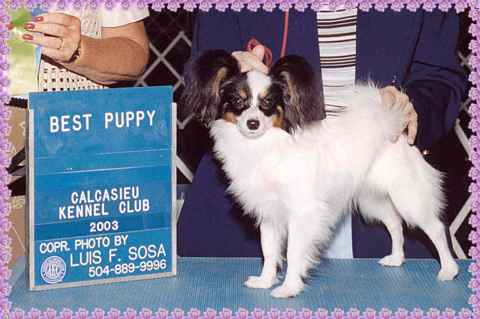 At the Calcasieu Kennel Club Inc Show in June 2003 Lady took Best Puppy in Breed and Toy Puppy Group 3.